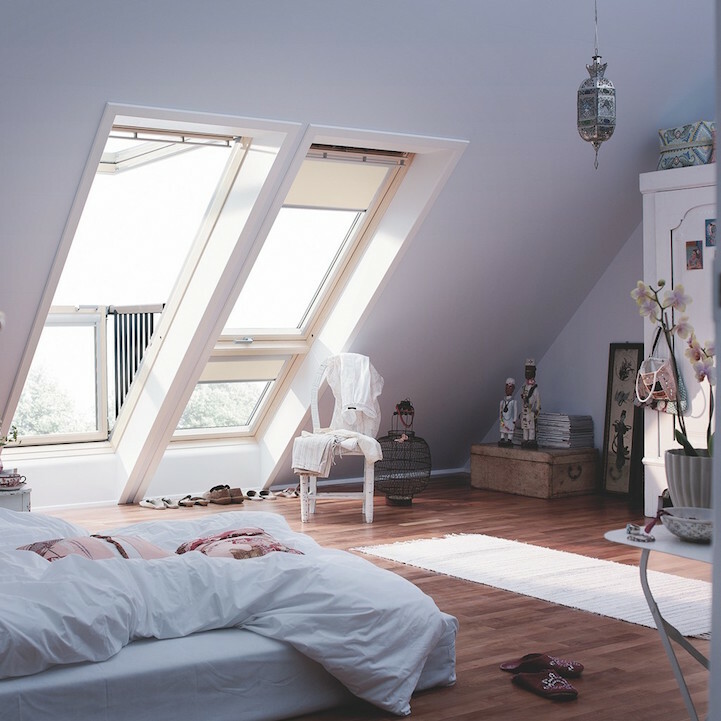 Attics and upper-floor spaces with angled roofs can feel stuffy and constricting, often cut off from both daylight and fresh air. 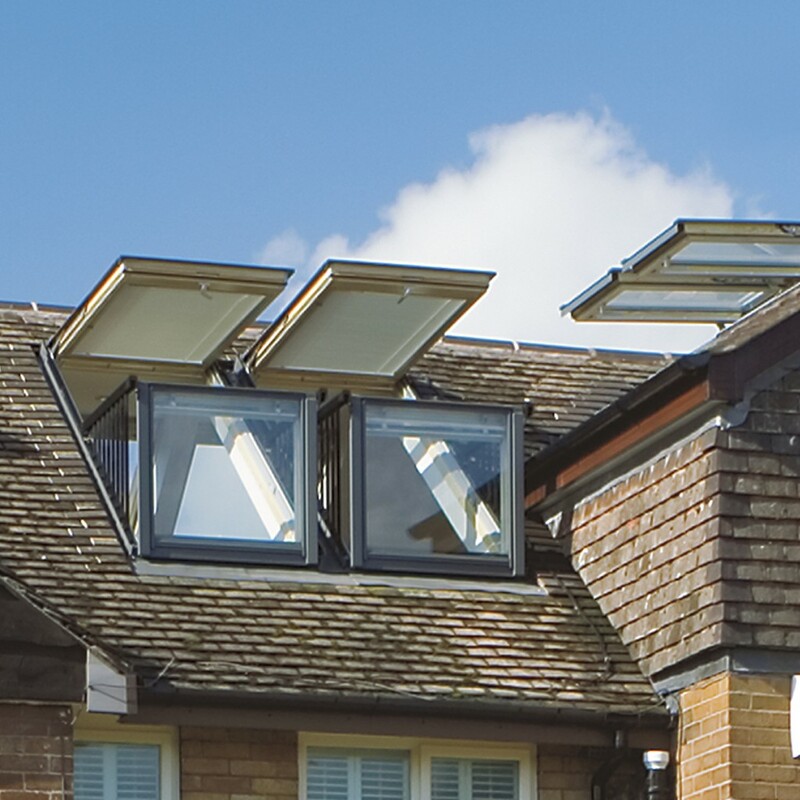 Instead of renovating the roof to add attic windows or balconies, you could have both in one. 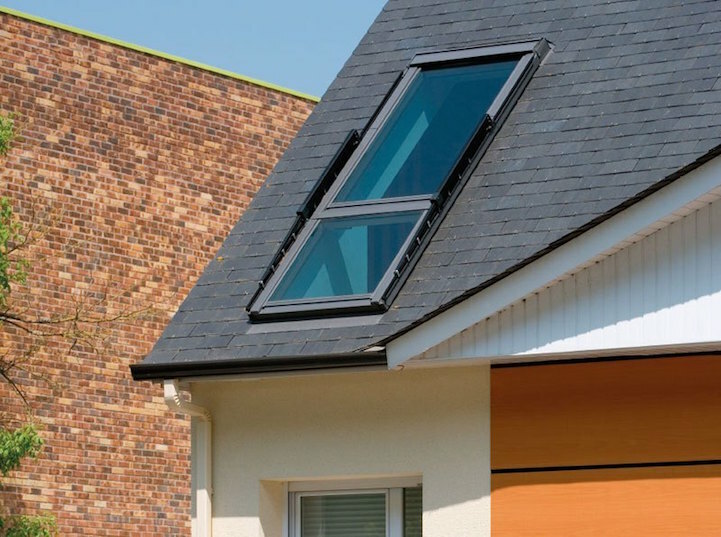 European window manufacturer Velux offers dormer windows that transform into outdoor spaces in seconds, the bottom half featuring pop-up banisters and the top half opening vertically into an overhang. 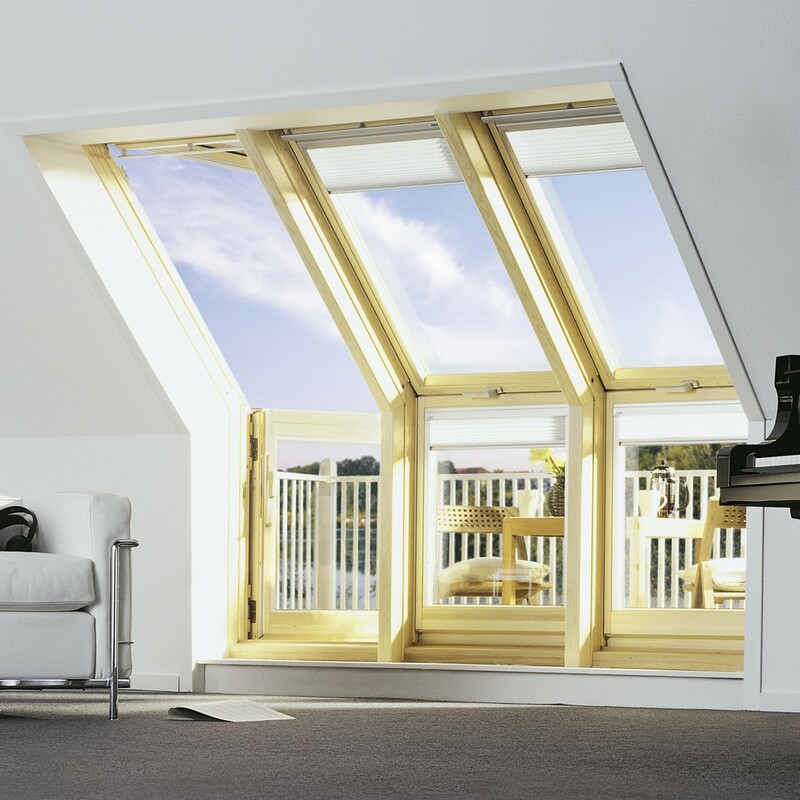 The Cabrio system fits snugly into the roof when closed, but becomes an instant balcony just by pushing both panes open. 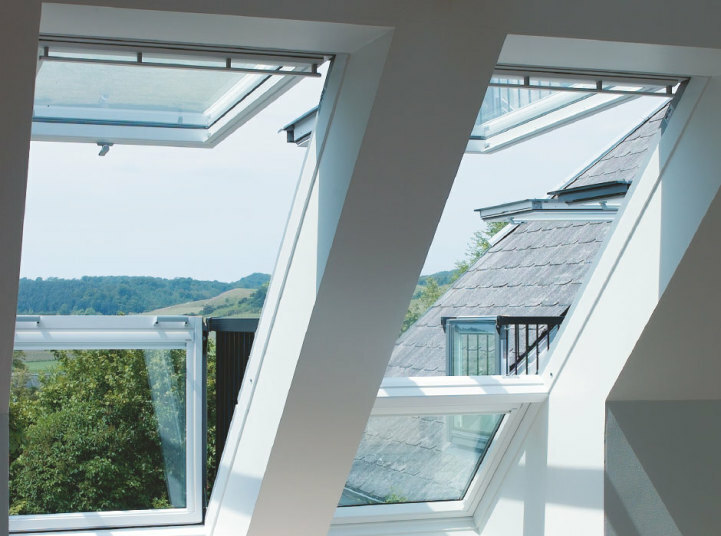 Available in single, double or triple formats, they bring daylight, fresh air and a view to rooms under sloping roofs, making the space inside feel dramatically larger and more open. 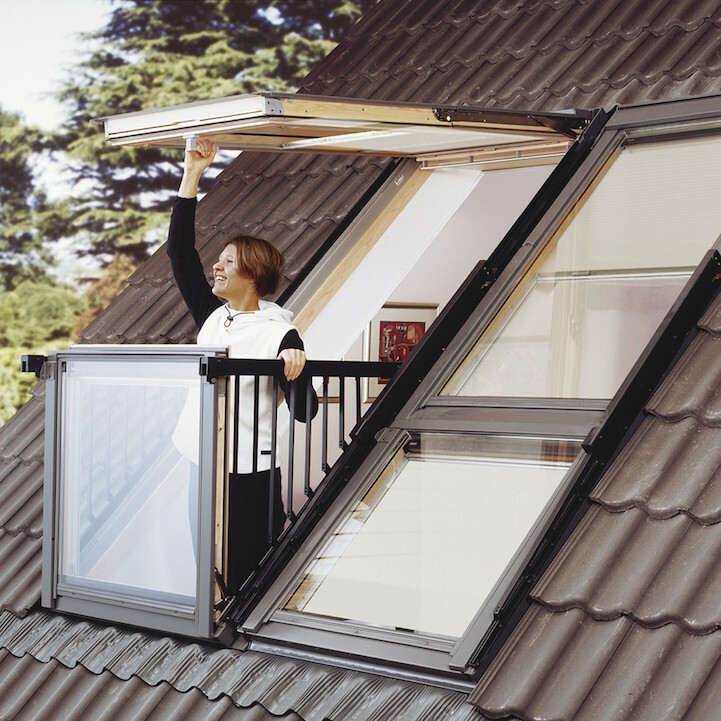 The top-hung section rotates 180 degrees for easy cleaning, and protects the indoor space in case of sudden rain. Previously unusable floor space butting right up to the ceiling becomes an indoor/outdoor lounge space. 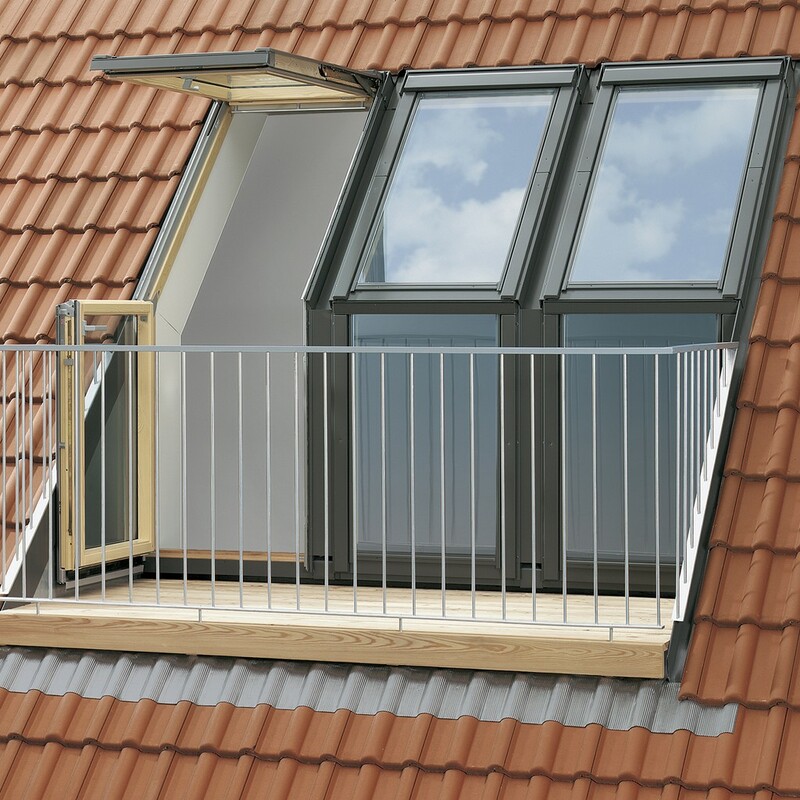 If you want an instant balcony that’s a little larger, there’s also an option for a triple window with bottom panes that swing out to the side, creating a full-sized door leading to a small terrace with a standard balcony railing.